Home / Blog / Uncategorized / When Called, Will You Answer? by nancibesserreed2 Comments on When Called, Will You Answer? Yesterday I received a phone call; a rarity in and of itself in my text messaging-centered world. I recognized the area code. It didn’t seem like a typical robocall configuration. But, I had been wrong before. Was it worth the time to see who or “what” was calling me? To my surprise and relief I recognized the voice on the line even though it had been almost half a decade since we last connected. The immediate warmth of her words reached me. They cut through the heavy feelings of mediocrity that washed over me earlier in the day. In their wake a new emotion took its place: Hope. Maybe my silent prayers had been answered; Maybe I was needed AND Seen. Little did my Kind caller know but that very morning I struggled against succumbing to impossible combination of feeling inadequate while being haunted by “Imposter” syndrome at the same time. Who was I to share my Story? Why did my Story matter? And, who besides me actually benefitted my efforts? I’ve been meaning to call you forever. I’ve been stalking your Journey in the best possible way. You are writing for all of us. Never doubt the Light you are sharing is reaching those that need it most. 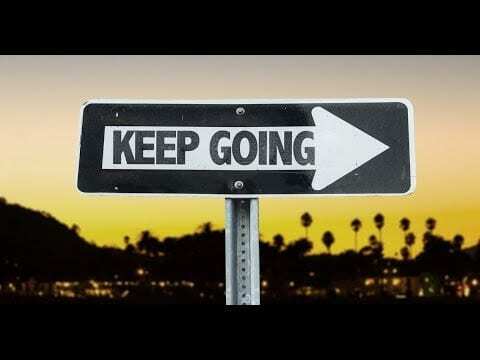 Please keep going, no matter what, the world needs to hear your story. You have helped so many with your Teaching through Pilates, Psychology, and Spirituality. I wish she could have seen my face. If she had she would have observed the purest amalgam of a genuine smile infused with gratitude and a hint of disbelief. After all, this woman is BUSY. She is well-known in her field AND has transcended many personal challenges as well. For her to take the time to call me AND encourage me to hang in there is beyond my immediate comprehension. There are no accidents. None. Nothing other than some sort of Divine Guidance can explain the timing of her Call. During my non-linear Journey one constant holds consistent: Right when I am about to give-up, something “Miraculous” “happens” to inspire me to continue. That might be true if it was the only time something like this manifested. It is not. As a matter of fact, EVERY time I have toyed with the notion of setting aside my vision, a powerful “sign” shows-up to remind me to look inside myself one more time AND keep going. Perhaps the point I’m finally seeing tonight while drafting this post is that the lesson keeps repeating because I have not fully learned it. It’s sort of like taking a final exam in school and acing it only to forget the fundamentals over the Summer, rendering you unable to matriculate to the next level without repeating the course. Or, maybe a more vulnerable response is that there is a hidden part of me that feels unworthy of being Seen AND Heard, not to mention being paid to “help” others by sharing my story. Here’s the thing though, I am worthy. The best way for me to reach the most people IS to have the resources to reach them. Money is Energy. Once I unblock any obstacles to flowing with the Mindset of Prosperity, the Energy of Success exists. What I am saying is that I am ready to Rise-Up to my Highest Purpose by answering the Call to do my part to reflect Light in the world. I, Nanci Besser Reed, hereby commit to no longer see giving-up as an option. I will continue to Share and Shine my Light even if it seems the only person I’m reaching is my Highest Self. Somewhere beyond Time AND Space I agreed to do my part to Ignite Kindly Conscious Conversations With The Mind AND Body. I am done defending my decision. I’m ready to stop apologizing to those that do not understand my interpretation of my Vision. It’s time to be Seen, not noticed. Once and for all, I commit to cease the conflict between inspiration and ambivalence. My Hands, Feet AND Voice are here to extend healing in whatever form is most helpful. Let the matriculation begin Now. And, so it IS. Thank you for reading my post AND in advance for keeping me accountable to my promise. I will not stop sharing my Story. It IS your Story too. Remember: I am on the Journey WITH You. Since we are all Connected, any learning I accumulate is extended to All as One. Here is what I’ve come to Know: Purpose is revealed in hindsight. Looking back on yesterday, I’m grateful for the reminder that Miracles meet you when you least expect them AND once you accept their Presence as your Present. Is there some sort of “repeated lesson” that you are ready to move beyond? Would you like to create your own Proclamation? I’d love to hear your Story. Drop me a comment below AND/OR become a Kindness Conversationalist AND Join my Kindly Conscious Circle to connect deeper with me during our Shared Journey. Curious to Connect AND Work with me? Click here for some of the ways we can work together to empower You to Live Your Best Life on the levels of your Mind AND/OR Body. It’s amazing that what we need is there right when you need it if you’re willing to be present and accept it. Love this post. You are so very thoughtful and intuative. Thank you so much, Robyn! Yes, you hit on two essentials: Being present AND Accepting the opportunity. I’m thrilled to hear the post spoke to you. How wonderful to connect. Welcome Kindness Conversationalist!